I conducted this interview with Yannis Toussulis about the role that phenomenology, both descriptive and hermeneutic, plays in clinical practice. It is the first in a series of conversations sponsored by PhenomenologyBlog. 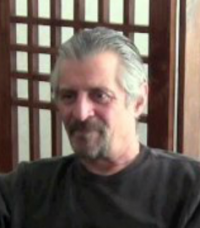 Yannis Toussulis received his PhD in Psychology from Saybrook Graduate School in 1995. His dissertation, supervised by Amedeo Giorgi, was entitled “Faith as A Lived-Experience: A Phenomenological Study.” He is a licensed psychotherapist who has been in private practice for more than 35 years, and who currently lives in Emeryville, California. He taught Psychology, Mythology, Comparative Religion, and Culture Studies at Antioch University/West, where he served as Co-Director of the Consciousness Studies Program. He also taught the psychology of intercultural conflict as an Adjunct Professor at the Graduate School of International Policy Studies, Monterey Institute of International Studies for eleven years. Phenomenology in Psychotherapy: An Interview with Dr. Yannis Toussulis from Marc Applebaum on Vimeo.